Striker Jay Bothroyd has credited Sheffield Wednesday manager Dave Jones with convincing him to sign for the Owls on loan. The 30-year-old, who played under Jones for three years at Cardiff, joined the Championship club from Queens Park Rangers until January on Friday. "I'm back with Dave Jones and I'm looking forward to it," he told BBC Radio Sheffield. "I know him well and he knows how to get the best out of me." He added: "It's going to be a good test but I just want to start playing football again and get scoring goals. "It's a massive club and they're striving to get to the Premier League." Wednesday lost their first match under Jones on Saturday, falling to a 2-1 defeat at Crystal Palace, ending a run of 18 matches without defeat since his appointment. 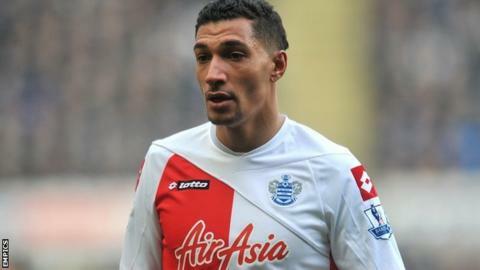 Bothroyd, capped once by England in 2010, is confident the Owls have the squad to put another unbeaten run together. "It wasn't the best game at the weekend, I suppose we didn't really get going," he continued. "They'd been on a great run and I know a few of the boys here and I think we can get on that kind of run again."